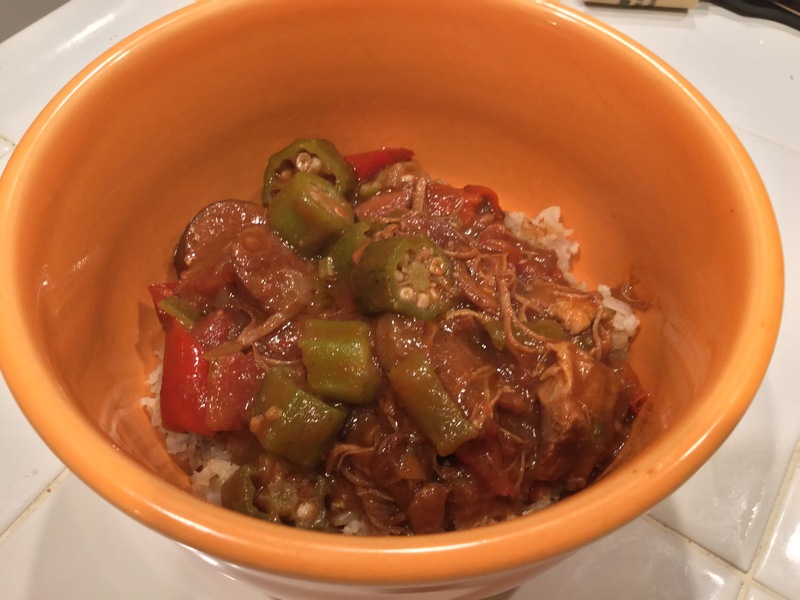 Gumbo – Super Bowl Food Success!!! This will be my last gumbo related post for a while! I promise! I just had to share that my first attempt at making gumbo was a success. It turned out thick, hearty and delicious! It had great bold flavor with just the right amount of spice and the okra didn’t get slimy. Score!!! 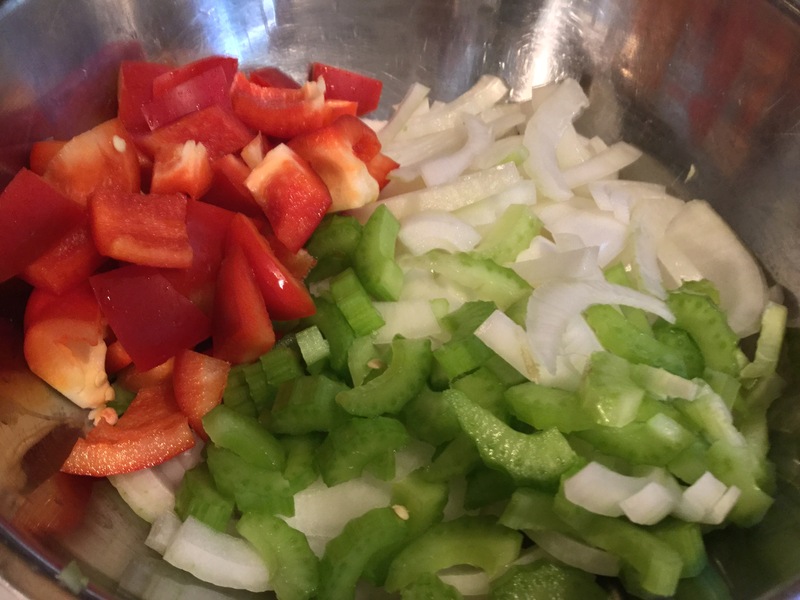 So a few days ago I shared the link to another bloggers post with instructions on how to make gumbo. I used their post as my guide and things turned out perfect! Their instructions were so easy to follow and left room to experiment, which I did. You know I had to get creative and put my own spin on it! That’s just how I roll! You’ll find the link to their blog below. So in their instructions you’ll notice they suggest various liquids you can use. You want to have a total of 8 cups. I used my large 8 cup measuring bowl. 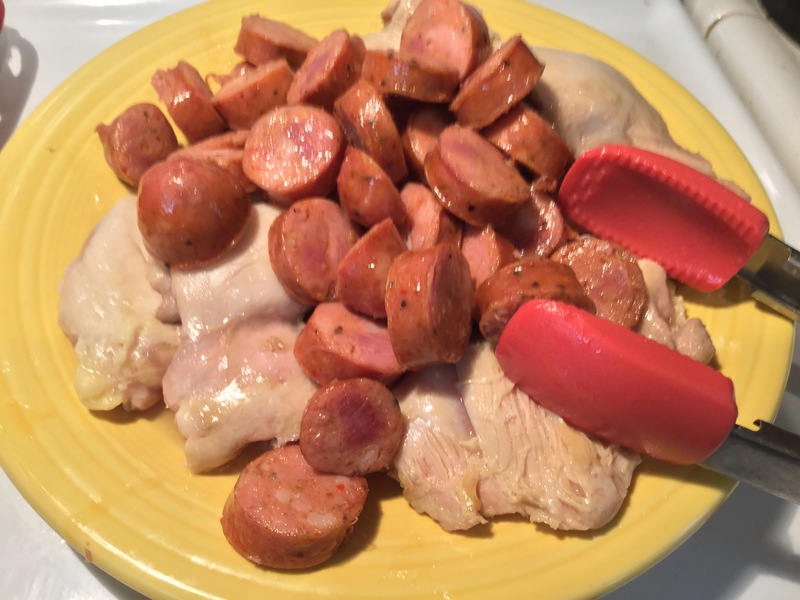 I poured in a 12 oz bottle of a Gordon Biersh Marzen beer, one 28 oz can of diced tomatoes in puree and then poured in enough chicken broth to bring it 8 cups. It ended up being 2-3 cups of broth. I also opted to use red bell pepper in my holy trinity. I just don’t like green bell peppers. I did include 1 stalk of celery too. I did want some spice in my gumbo, so I chose to add 2 tsp of Cajun seasoning and 1/2 tsp of cayenne pepper. Of course, I added salt and black pepper too. Anyway, it turned out great and made a nice sized batch. I highly recommend giving it a try. 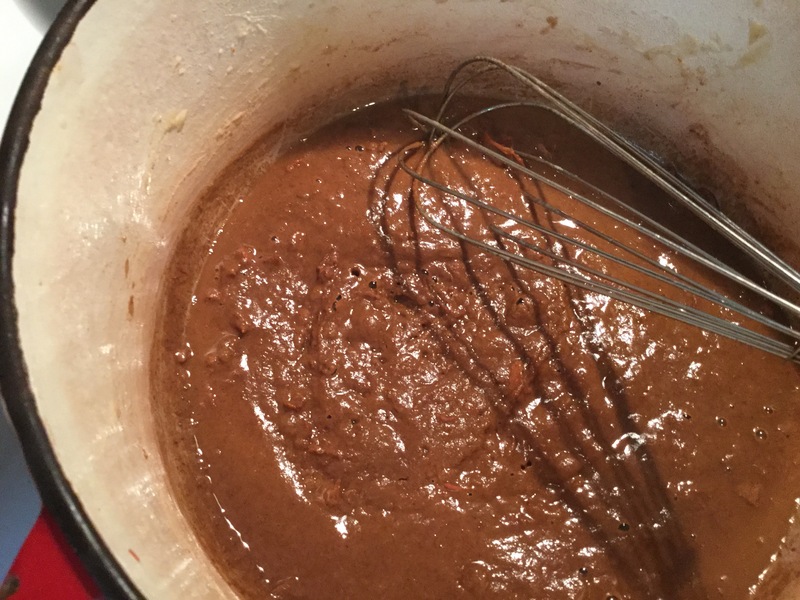 It does require your undivided attention when making your roux, but once you get all the initial work done, you can just let it simmer for several hours. Mine simmered on the stove in my Dutch oven for a good 5 hours. I did crack the lid, so liquid could cook off and it could thicken up. Thanks to the folks at House Blend for the great gumbo recipe! Your instructions were so easy to follow!